A CentOS 7 server with a non-root user with sudo privileges and MySQL installed. To prepare for moving MySQL’s data directory, let’s verify the current location by starting an interactive MySQL session using the administrative credentials. Now that the server is shut down, we’ll copy the existing database directory to the new location with rsync. Using the -a flag preserves the permissions and other directory properties, while-v provides verbose output so you can follow the progress. Once the rsync is complete, rename the current folder with a .bak extension and keep it until we’ve confirmed the move was successful. To make sure that the new data directory is indeed in use, start the MySQL monitor. Once you’ve verified the integrity of any existing data, you can remove the backup data directory with sudo rm -Rf /var/lib/mysql.bak. Fixing issues due to change in SElinux policy. SELinux is aware of the MySQL file types (or contexts if you prefer) and will deny access to non MySQL (labeled context) files anyway. May 19 11:40:44 crummyworld3 mysqld: 2017-05-19 11:40:44 139833240783104 [ERROR] Plugin 'InnoDB' init function returned error. May 19 11:40:44 crummyworld3 mysqld: 2017-05-19 11:40:44 139833240783104 [ERROR] Plugin 'InnoDB' registration as a STORAGE ENGINE failed. May 19 11:40:44 crummyworld3 mysqld: 2017-05-19 11:40:44 139833240783104 [Note] Plugin 'FEEDBACK' is disabled. $ semanage fcontext -a -t mysqld_db_t "/data/mysql-data(/.*)?" 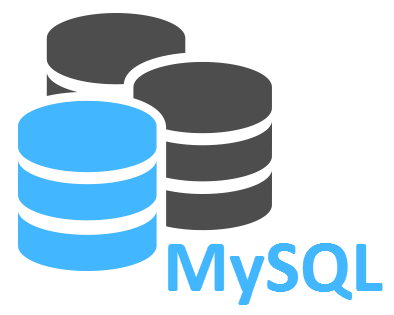 In this example semanage is adding the type mysqld_db_t to the file context map (fcontext) for anything in the /data/mysql directory and subdirectories (“/data/mysql(/. *)?”, a regular expression). File mappings such as this are contained in the file /etc/selinux/targeted/contexts/files/file_contexts.local ; that file must subsequently be read in order to set the appropriate type on the file itself. That’s done by the restorecon utility, and at system reboot. If you want to change a file context immediately, but don’t need it to survive a reboot, there’s a chcon utility that performs that task.